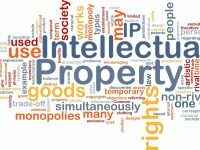 In this lesson we’ll look at vocabulary related to intellectual property, or IP. Intellectual property includes patents, as well as trademarks and trade secrets. IP may be licensed to others, but it still belongs to the rights holder. We’ll cover activities such as counterfeiting, as well as reverse engineering. And finally, we’ll look at designation of origin.